Paleo Soups & Stews features more than 105 nourishing recipes, from foundation broths to a wide variety of soups and stews that cater to every taste, season, occasion, and course. It’s all here—from refreshing cold soups like gazpacho and summer borscht to savory pureed soups like Moroccan carrot and wild mushroom bisque to hearty options like matzo ball soup and pork chile verde. It even includes dessert soups and cookies to pair them with, like roasted plum soup with cinnamon roll cookies and chocolate soup with graham cracker marshmallow dippers. This all-encompassing cookbook also offers the one thing Paleo eaters have been missing with their bowls of soup: bread and noodles! 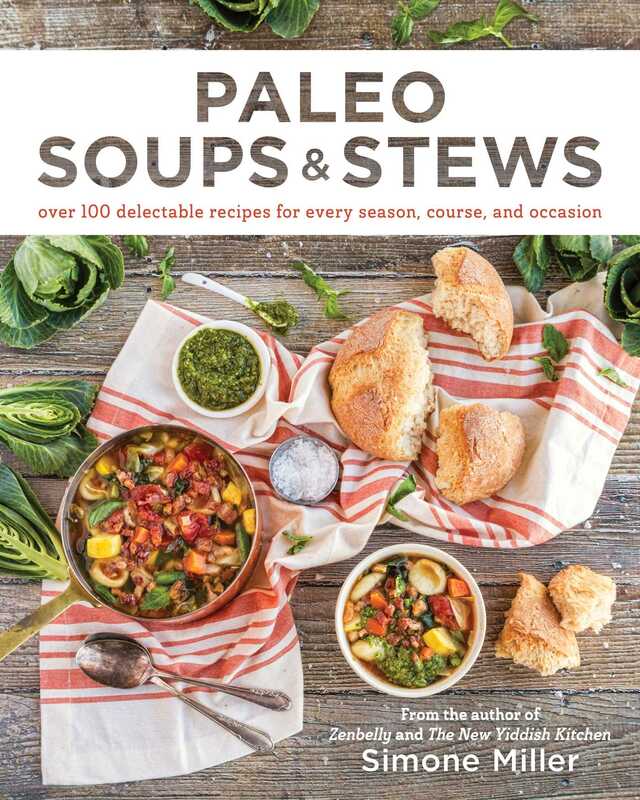 Paleo Soups & Stews includes chapters dedicated to breads and noodles to dip into, serve in, serve on, or accompany your favorite hearty soup recipes. Paleo Soups and Stews goes beyond the bowl, offering expert preparation tips, recommended substitutions for special diets, and make-ahead suggestions, along with a drool-worthy full-color photo to accompany each recipe. Whether readers prefer to use the stovetop, a pressure cooker, or a slow cooker or want to mix it up, Miller guides them every step of the way toward achieving the perfect meal.